Gorgeous remodel with all new flooring thru out showcasing tile in the main areas of an open floorplan and new Frieze carpet in the bedrooms. This home features all the bells & whistles of a new home but priced much less! Kitchen is stunning with new Quartz countertops, all new stainless appliances including gas range with built in griddle (electric outlet available) . Master features a walk in closet, en suite with new cabinetry, more sparkly quartz counters, dual vanity, soaking tub and separate shower. Separate laundry room with an included washer & dryer. This floorplan is very open and lends itself to so many options of formal dining, workspace, or great room. 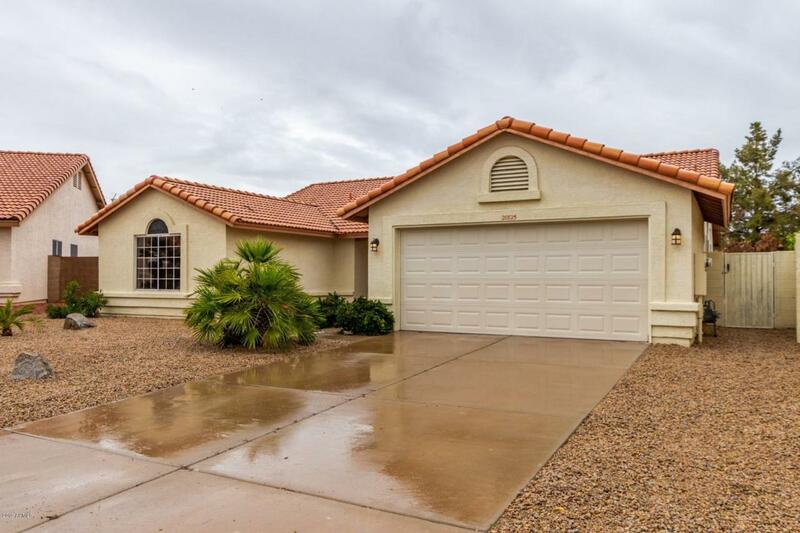 Excellent location on a huge cul de sac lot in the 55+ community of Ventana Lakes.